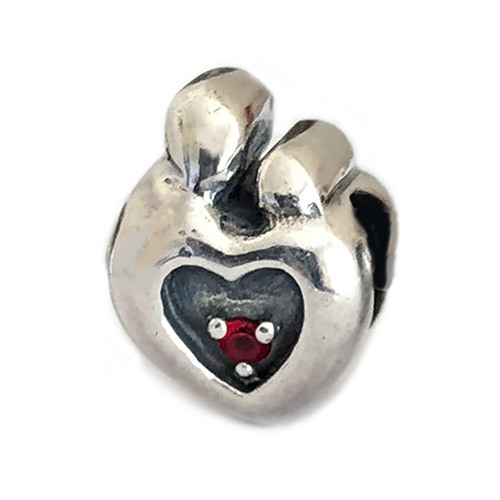 Mother and Child Sterling Silver Biagi Bead with heart and red cz. A perfect gift for Birthdays or Mother's Day! Fits Chamilia, P-NDORA, Troll bracelets and more.